Used or second hand engines are units which have been sourced from the vehicles that are no longer in use due to various reasons. 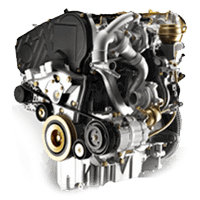 Used Engines For Sale is your number one destination for comparing prices for second hand Toyota engines from a huge network of trustworthy suppliers. All you have to do is enter your registration number and we will do the rest. You will get free instantaneous no obligation quotes from the suppliers with the required engine in stock. You can be rest assured that you won't get a better price comparison than us. We don't charge you a penny for using our services, it's completely free.